Commercial quality liquid hand soap. 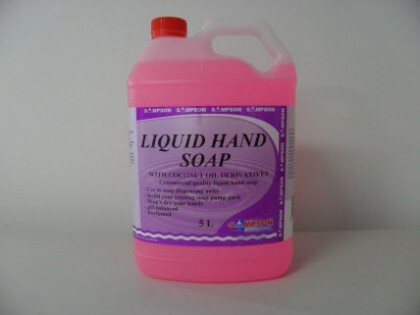 Liquid hand soap is particularly suitable for use in liquid soap dispensing units in areas where cleanliness and hygiene are essential: Public toilets, bathrooms, kitchens, child care centres, sickrooms etc. Won't dry your hands, pH balanced and perfumed.